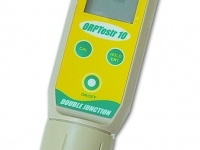 Measures oxidation reduction potential -999 to + 1000mV. Ideal for checking sanitisers. 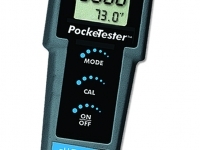 Dual range tester. 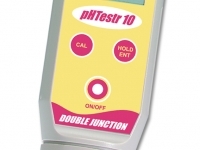 Measures Total Dissolved Solids in both 10 ppm increments up to 1,990 ppm and in 100 ppm increments up to 10,000 ppm. 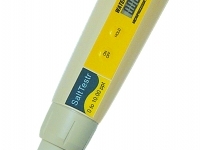 Measures Sodium Chloride level from 0 to 10,000 ppm. Designed for the pool professional. 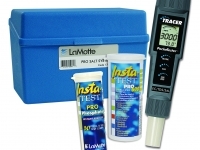 Measures 10 key test factors for salt water pools, including Sodium Chloride, Total Dissolved Solids, Temperature, pH, Cyanuric Acid, Free Chlorine, Total Chlorine, Bromine, Alkalinity and Total Hardness. 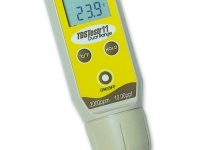 Measures levels of pH from 0.00 to 14.00, Sodium Chloride from 0 to 9,999 ppm, Total Dissolved Solids from 0 to 9,999 ppm and Temperature from 32.0 to 149°F or 0.0 to 65°C. 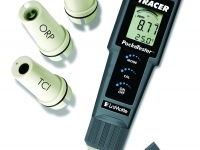 Measures up to three test factors by adding a Total Chlorine, pH or Oxidation Reduction Potential sensor. 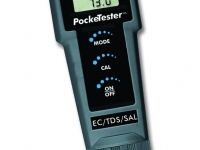 Can be used for testing a wide variety of water samples.